Tl;dr: At the moment, there is a gaping chasm separating speculative investment and user activity within decentralized networks and applications. The concept of delegate work entities aligns all involved party incentives through delegation of work token assets to temporarily bridge this gap until decentralized networks improve user experience. Put more simply, delegation of work allows us to bootstrap decentralized networks in a democratic fashion until a larger portion of the community is able to undertake the tasks themselves. In my first installment of value accrual exploration, I touched on the topic of the commoditization phenomenon in computing. If you didn’t get the chance to read that yet, I suggest taking a look before diving into the following piece. To recap, I discussed the commoditization of the data layer with the introduction of blockchains and other DLT projects. Within this new technological era, value cannot accrue in the same fashion as it did with proprietary data. This lead me to posit a new idea on how value could accrue in the age of decentralized technologies. As I noted in the previous installment, the following post will build on the ideas and trends referenced in version one. At the end of the post, I dove into the concept of ‘delegate work entities’. With the help of Richard Burton, I noticed that this term is a bit vague. Any party elected by a user to perform some work on their behalf. For example, if I am a curator of a TCR but don’t want the responsibility of curating the list every day, I can delegate my curation (voting) rights to another party to perform the work for me. The reason I believe delegate work entities are an exciting topic is because DApps, governance-reliant blockchains, and any other token ecosystem with a work function are predicated on the idea that the majority of individuals want the self-sovereignty being offered to them via these technologies. The masses are being given the option to earn financial rewards through work tokens; alternatively referred to as productive cryptoassets. The problem is, it is unlikely that every individual is going to have the time to perform all of the tasks required to enable these ecosystems to function as they were designed. And the hard truth is: not everyone wants to or is tech savvy enough to do so. For this reason, I believe delegate work entities could potentially be massive points of value accrual within these decentralized systems. These entities will be elected to perform the function of a work token, pay the token holder’s dividends for using their work token, and help to jumpstart decentralized networks by boosting activity within it. For the rest of the article, I will explore who in the space is best positioned to be these entities, how I envision this system working, and the opportunities and obstacles of this model. Exchanges uniquely positioned to be delegate work entities. The reason for this is that the entire market is still highly speculative. Millions of dollars are being left in exchange wallets by retail investors who simply like the idea of a project and assume the price will increase if the project succeeds. But many of the coins being left on exchanges have a use that is not being fulfilled. You cannot use your REP to report from an exchange wallet, use your adToken to vote on the TCR, nor your EOS to vote for block producers. If we want to bridge this gap of speculation and usability, we might need someone to take the reins and perform most of the work for a while. And who’s better suited to lead this movement than the entities holding majority of the world’s tokens? Additionally, exchanges are for-profit organizations. Most, I assume, are looking for additional revenue generating avenues that might be able to give them a financial boost. While they’re obviously not looking to profit at the expense of security, they might be willing to take on a little bit of risk to improve their bottom line. Taking all of this into account, I believe they are probably the second most likely organization to operate as a delegate work entity. 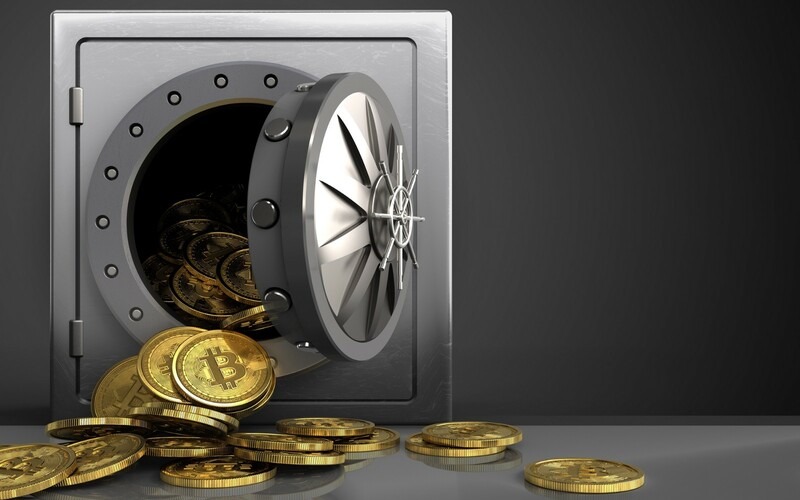 Custodians hold billions in digital assets for institutional investors and large scale blockchain projects around the world. As more and more investors begin to enter the space, their holdings will only continue to grow. There is a high chance that a fair percentage of these funds held by custodians will have some sort of work function associated with them. What good are they to the community if they sit in cold storage for an eternity? Custodian’s are probably the most risk averse of the three entities I will mention today. While they, too, are for-profit organizations, there are things that take priority over profit in their line of business. Their primary focus is to keep client’s funds secure by any means possible. With this in mind, I believe custodian’s are the least likely group to attempt the delegate work entity model. The same concept can be applied for venture capital or hedge funds operating in the space. Many of these funds are investing directly in protocol tokens which means they hold the same work or voting power as the retail investors do holding their tokens in exchange wallets. After just a brief skim of the Pantera Capital investment portfolio, I counted six tokens they hold which can perform some sort of work function in their native ecosystem. The opportunities here are not solely limited to dividend work tokens either. Some of these tokens give the holder the power to vote on governance referendums and potentially lead the future path of the protocol in the direction that results in the most useful and profitable destination. In terms of likelihood to attempt this experiment, I believe investment funds are the most likely delegate entity to take on the challenge. Investment groups are continuously looking for avenues that can maximize returns for their investors. This pursuit of maximum return also requires that they have a slightly higher risk profile than that of exchanges or custodians. To make this idea a bit more tangible, I will provide a brief example. Consider ‘Fund A’ is a delegate work entity with 50mm in assets under management. Fund A is a firm believer in the future of prediction markets and is thus a strong supporter of Augur and it’s native REP token. For illustrations sake, assume Fund A holds 1% of their assets under management in REP, which they purchased at $20/REP in late 2017. Utilizing the valuation analysis of REP token by Myles Snider, we will assume an annual cash flow of $22.73 per REP.
Circling back to Fund A, the 1% AUM they invested equates to exactly 25,000 REP. Taking all of this into account, we can see that Fund A is forgoing $568,250 annually in REP reporting profit by keeping these funds in cold storage. Considering the goal of an investment fund, I find it hard to believe that they would pass up on this potential profit opportunity. With that said, I believe funds are the most likely entities to explore this delegate work model. *Disclaimer: Cash flows and present value(s) are inherently dynamic in this market. Unless profits are immediately realized, by converting from token to Fiat, these yield numbers may be skewed due to asset volatility. Each entity then has a team of employees whose sole job is to manage the functions of the work tokens (i.e. report on Augur event outcomes). This will both maximize profits for them and ensure that the work function is being done adequately as to provide value to each token’s native ecosystem. What I really enjoy about this idea is that there are benefits for every party involved. Retail investors are given dividends on their work tokens without any further effort required on their part. On the same note, delegate work entities are given a brand new revenue stream. Finally, the work token’s ecosystem benefits from more user activity, thus improving the overall value of the network and the service it provides. As I’m sure you’re aware, most active DApps or blockchains are in need of more user activity. This model could very well be the catalyst. Suddenly Augur event reporting becomes the most efficient and trustworthy oracle mankind has ever seen. Token curated registries like adChain now provide a powerful value signal to advertisers worldwide. Additionally, this could be a simple way to bootstrap DApps. As long as people around the globe are buying a DApp’s native token, there is a much higher chance that those token holders convert to active users through this system. As exciting as this idea is in theory, there are some very real obstacles and potential drawbacks that could arise. For one, you could argue that this is a form of centralization. This puts delegate work entities in a large position of power to, for example, sway a vote on a token curated registry to align with their business goals as opposed to the best interest of the registry. Token holders have to trust these third party entities to perform the work in a benevolent manner. Then again, assuming the system becomes as sophisticated and simple as delegating Steem power to accounts on Steemit, users could simply un-delegate their work token rights when an entity is acting malevolently. Additionally, there are some serious financial risks associated with this model. With the current state of blockchain technology, this idea would require delegate work entities to move funds out of cold storage in order to perform the required work on the native platform or chain. This inherently puts funds at greater risk. The question we must ask is: is the work token dividend enough to offset the risk associated with losing the funds? There is most likely a local maxima on the Profit vs. Risk graph at which, after that point, the risk begins to outweigh the reward. However, I firmly believe this is something worth exploring. There are going to be many ways that value can accrue in decentralized ecosystems in the years to come. At this point in time, I find this idea particularly appealing not only for the monetization aspect, but also for the ability for this model to jumpstart usage of decentralized applications and chains before UX improvements arise some years down the line. There is no doubt that there are custodial and indirect centralization risks involved with entities attempting this model. However, if managed in a careful manner, I believe it’s possible to make it work while avoiding these pitfalls. As mentioned briefly above, the entity that I see most likely to adopt something like this would be investment funds. Funds are typically looking for any way to further maximize returns for investors, even if there is a little risk involved. The less likely entities would be exchanges and custodians, respectively. Exchanges are inherently more risk averse than investment funds, but significantly more driven to maximize profits by taking on some risk than a custodial service. Custodian’s hold client capital security paramount in their business model, thus rendering them the least likely to attempt this model. If any of the points I touched on above are intriguing to you, please reach out. I’d love the chance to brainstorm and further iterate on these ideas. On a similar note, if you disagree with anything I’ve said or find some of my points to be misguided, definitely reach out. I’m constantly looking to grow my knowledge of this space and that cannot be done without thoughtful, productive disagreements. Enjoy this post? @ me on Twitter @bennybitcoins and let’s keep the conversation going. Thanks to Phil J Bonello, Gage Valentino, Jason Choi, Nathaniel Whittemore, Brian Flynn, Dan Zuller, and the Messari Community for their feedback. Thanks to Phil J Bonello and Eric Turner.